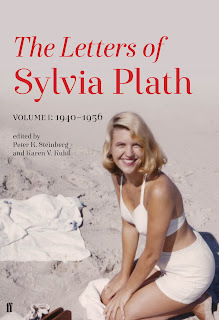 It has been the most immense privilege to get to work so closely with Plath's letters and archives, with Karen V. Kukil (the co-editor), with Frieda Hughes, and the very good people at Faber and HarperCollins on this project. 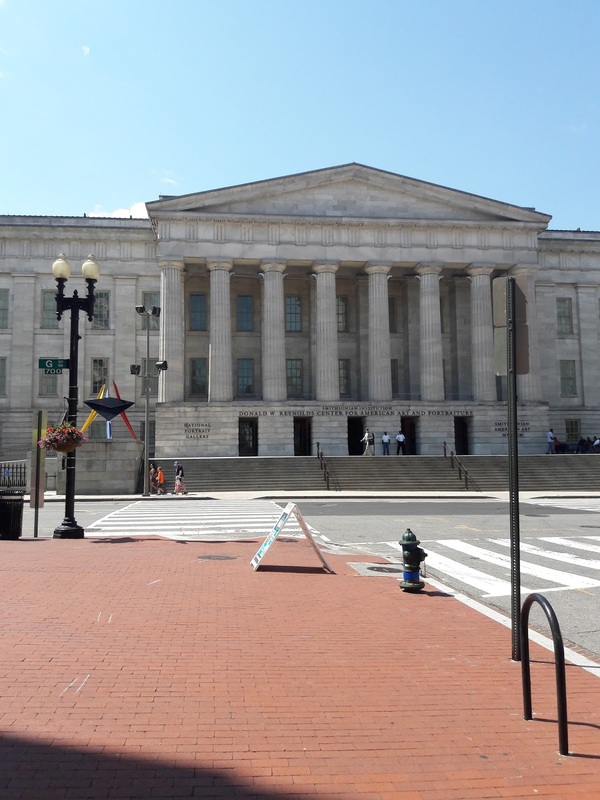 Not to mention the archivists and librarians and private citizens who have offered tireless help and information. 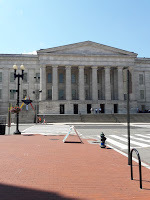 After living with the manuscript in various states and sizes for so many years, it is with the utmost pleasure that I am publishing this blog post to let you know that the hundreds of letters comprising Volume 1 (1940-1956) is off my hands and has passed now the point of no return. THANK YOU ALL for your support and patience during this project. You will never really know, and nor can I express in words, just how you each sustained me for the duration of this project. Every letter located, read, transcribed, annotated, edited, and proofed was done all for you and on the support of your shoulders. I am so thrilled to have this volume of the book at the publishers. To kind of quote Plath, "We have come so far, it is [nearly] over." 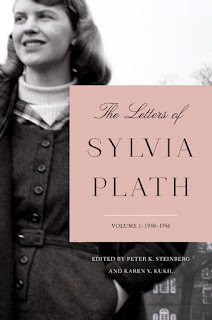 In the Letters, we discover the art of Plath's correspondence. Most has never before been published and is here presented unabridged, without revision, so that she speaks directly in her own words. Refreshingly candid and offering intimate details of her personal life, Plath is playful, too, entertaining a wide range of addressees, including family, friends and professional contacts, with inimitable wit and verve. Leading Plath scholar Peter K. Steinberg and Karen V. Kukil, editor of The Journals of Sylvia Plath 1950-1962, provide comprehensive footnotes and an extensive index informed by their meticulous research. Alongside a selection of photographs and Plath's own line-drawings, they masterfully contextualise what the pages disclose. This selection of early correspondence marks the key moments of Plath's adolescence, including childhood hobbies and high school boyfriends; her successful but turbulent undergraduate years at Smith College; the move to England and Cambridge University; and her meeting and marrying Ted Hughes, including unseen letters post-honeymoon, revealing their extraordinary creative partnership. Look for publication on 5 October (UK) and 17 October (US)! At 1,424 pages (per Amazon), this volume of Plath's letters will be about fifty pages fatter than Faber's own Collected Poems of Ted Hughes. So, start lifting weights. I will have much more to say about the work that went into The Letters of Sylvia Plath project at the Sylvia Plath: Letters, Words, and Fragments Conference being organized by Plath scholar Maeve O'Brien. The conference will be hosted by the Ulster University, Belfast, on 10-11 November. The call for papers closes on 31 July, so please send your proposals in soon. I guess I have to start thinking about Volume 2 now! All links accessed 20 July 2017; blurb accessed 20 July 2017. Earlier this week I tweeted the cover of the Faber edition of the forthcoming The Letters of Sylvia Plath. It met with a wide spectrum of praise and criticism but I think the designers at Faber perfectly capture the essence of Plath that is reflected in the letters. Radiantly happy and in full color. In addition to the Faber cover, the HarperCollins design is now finalized and approved. In the meantime, when not blogging or tweeting...I am working alongside of the co-editor Karen V. Kukil furiously and fastidiously on the index and all the other final things. The first volume of the Letters of Sylvia Plath is scheduled to be published on 5 October (UK) and 17 October (US). All links accessed 7 July 2017. 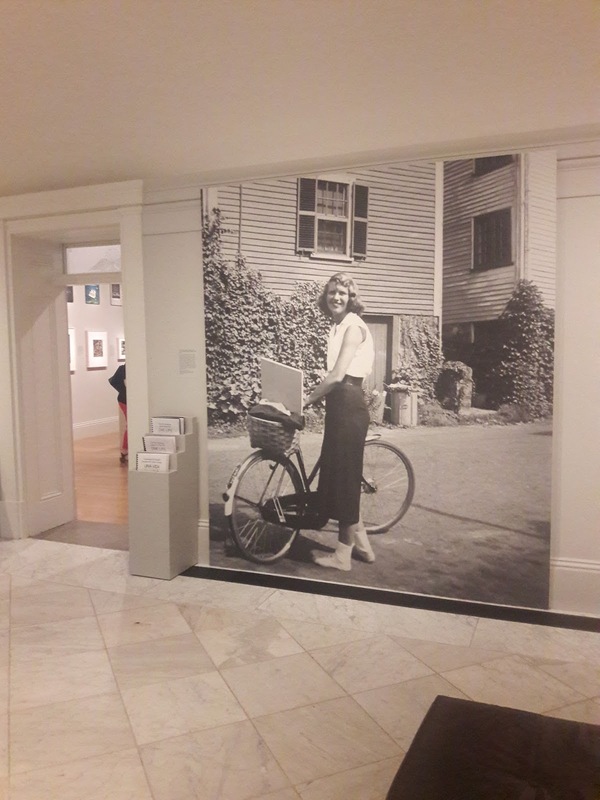 One Life: Sylvia Plath is an exhibition on the poet and writer on at the National Portrait Gallery in Washington, D.C. 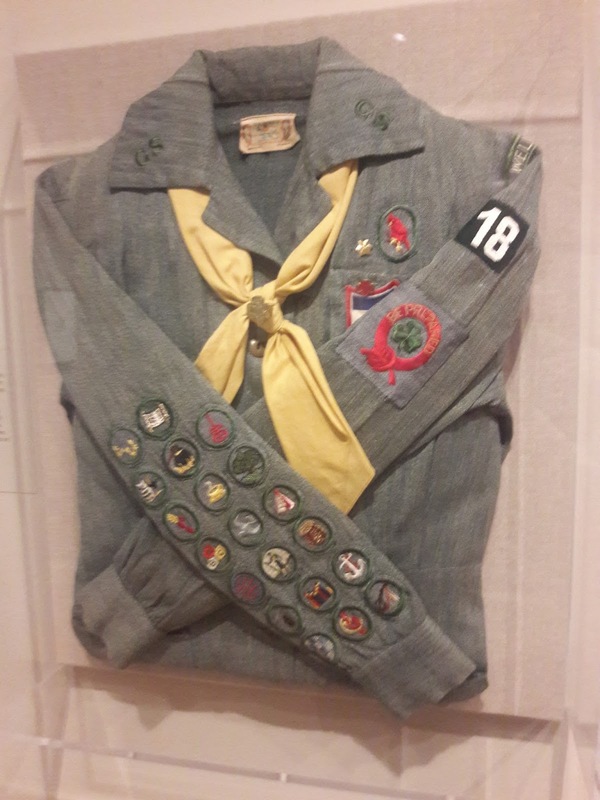 The exhibit opened yesterday and is on view through 20 May 2018. 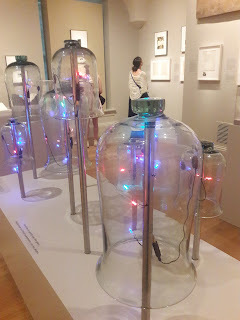 I visited the exhibit on opening day, of course, and was thoroughly impressed with the selection of materials and narrative of the show, curated by Dorothy Moss of the NPG and guest co-curated by Karen V. Kukil of Smith College. "One Life: Sylvia Plath" is the first exploration of the poet and writer's life in an art and history museum. The exhibition reveals how Plath shaped her identity visually as she came of age as a writer in the 1950s. Visitors will get a look into Plath's personal life and her dualistic nature she explained as her "brown-haired" and "platinum" personalities. Through personal letters, her own artwork, family photographs and relevant objects, this exhibition highlights Plath's struggle to understand her own self and to navigate the societal pressures placed on young women during her time. Her Smith College thesis, "The Magic Mirror: A Study of the Double in Two of Dostoevsky's Novels," suggests that she took an academic approach to studying her own dualities. 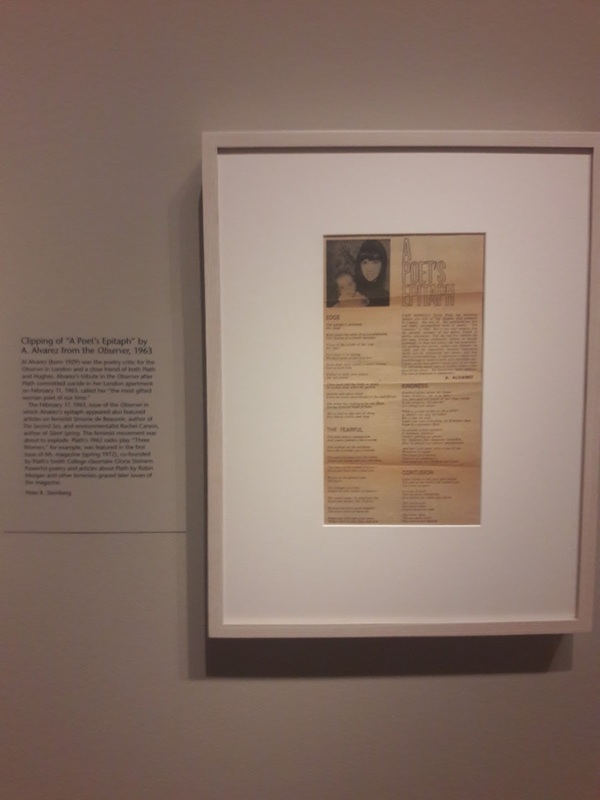 The exhibition features a carefully selected array of images and objects from the Plath archives at Smith College and Indiana University's Lilly Library, two collections that have never been brought together before in a museum exhibition. Dorothy Moss, curator of painting and sculpture at the Portrait Gallery, is curator of this show, joined by guest co-curator Karen Kukil, associate curator of rare books and manuscripts at Smith College. I highly recommend anyone interested in Sylvia Plath, poetry, archives, and museums to visit the National Portrait Gallery for their One Life: Sylvia Plath exhibit in the next eleven months. There are brochures (to take!) available in English and Spanish, and a guide to the collections is also available, not to take, in English, Spanish, and Braille! All links accessed 26 June 2018.